The following links help teachers and students understand the importance of careers in Cyber Security today and provide an insight into current cyber strategies, policy, government and industry cyber news, education and curriculum links for cyber security. Teachers exploring Cyber Security can contribute their own resources to help us build and support the teaching in this area. Contact Renee Hoareau with your links and a short descriptor. For Independent schools in Victoria who wish to adhere to the Australian Curriculum Digital Technologies the following are useful curriculum links. Teaching topics from the Australian Curriculum Digital Technologies suitable for the Cyber Victoria Schools Challenge knowledge and skills in these areas of study: Algorithms, Binary, Computational Thinking, Data Representation, Design Thinking, Digital Citizenship, Digital Systems, General Purpose Programming/Coding, Systems Thinking and Visual Programming. In teaching and learning of the ICT General Capabilities which are infused in all studies of the Australian Curriculum students use ICT effectively and appropriately to access, create and communicate information and ideas, solve problems and work collaboratively in all learning areas at school and in their lives beyond school. ICT capability involves students learning to make the most of the digital technologies available to them, adapting to new ways of doing things as technologies evolve and limiting the risks to themselves and others in a digital environment. 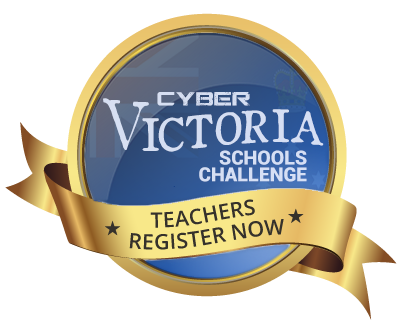 Teachers undertaking the Cyber Victoria Schools Challenge, particularly in the immersive interactive experience of the Cyber Situation and in understanding the roles of the Cyber Security mentors can link the ICT General Capabilities in the key ideas for ICT Capability are organised into five interrelated elements in the learning continuum. Victorian Curriculum - access the Victorian Curriculum Digital Technologies DigiPub resource from the Digital Technologies Hub from this link. Mobility in Australia – Jobs of the Future - a key research organisation future casting in many As Australia’s social researchers, McCrindle take the research communities trends. The organisation is commissioned by governments, leading brands and some of Australia's largest organisations because of our renown for conducting world class research and communicating the insights in innovative ways.